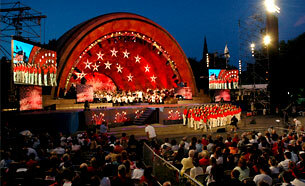 The Boston Pops Fireworks Spectacular and Red Sox games at Fenway Park are iconic summer experiences in Boston. The Massachusetts Office of Travel & Tourism and partners are giving away the chance for winners to be VIPs at each of these, and we think your readers would love the chance to win. Details for both sweepstakes are below. Please let me know if I can send any additional info or images.